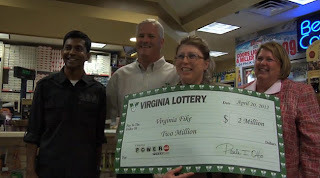 Emerald: Lightning struck twice for Virginia Fike as she won the lottery two times in one day!!! Lightning struck twice for Virginia Fike as she won the lottery two times in one day!!! Virginia Fike, won lottery twice same day by mistake! An American woman picked up £1.2million ($2million) after a ticket mistake saw her win the lottery twice in the same day. Virginia Fike, 44, admitted her double win was a result of entering – and winning – the same game twice, rather than two separate ones. Her jackpot was made all the more fortunate as she had only matched 5 of the 6 numbers, with the Powerball lottery splitting the £49.5million ($80million) jackpot between 14 people with 5 matched numbers. “I'm in shock,” said Virginia Fike, from Berryville, Virginia. “I was planning on getting the Mega and Powerball tickets but instead I got two Powerballs. I thought if I win I’ll win twice, what are the odds? “I picked numbers based on my parents' anniversary and their ages at that time, divided by the year they were married. 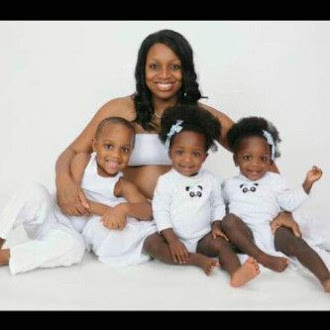 It really just hasn’t sunk in yet,” she added. Ms Fike picked up the combined cheque for £1.2m ($2m) on Friday, almost two weeks after purchasing the two tickets at an Olde Stone Truck Stop in Virginia. She said that she plans to take care of her parents and “pay some bills” with her windfall.